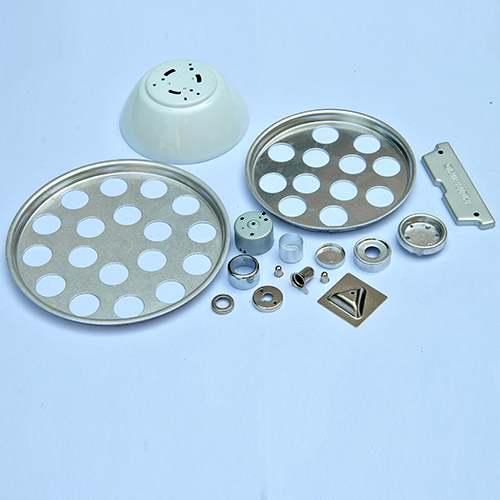 Product categories of Lighting Metal Parts, we are specialized manufacturers from China, Lighting Metal Parts, Aluminum Lighting Parts suppliers/factory, wholesale high-quality products of Stainless Steel Lighting Parts R & D and manufacturing, we have the perfect after-sales service and technical support. Look forward to your cooperation! Customized all kind of light accessories. Welcome to processing custom lighting metal parts, including lamp cup, flashlight reflective cup, metal shrapnel lighting, lighting bracket. We have precision CNC lathes, CNC milling machines, punching machines, drilling machines, metal polishing. Can be electroplated, anodized, powder coating surface treatment. Welcome to consult.